With vibrant colors and wild animals, Africa is full of crafting inspiration. 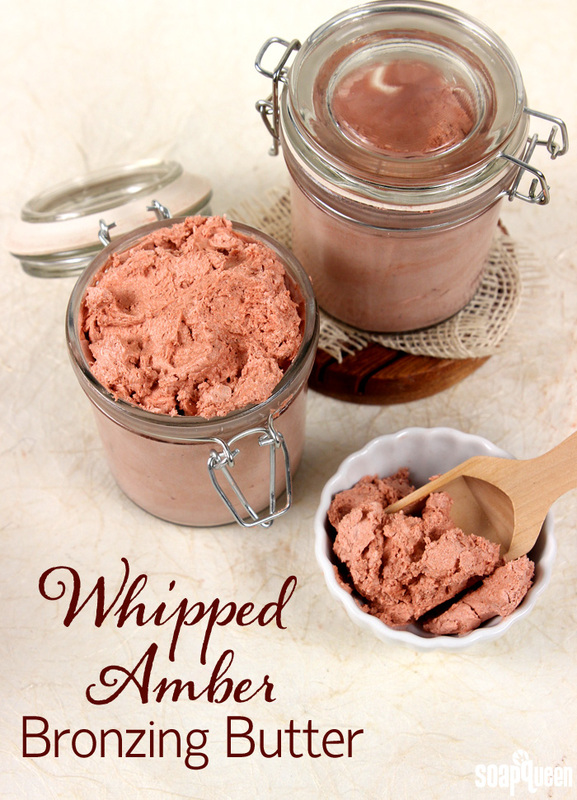 This week featured several Africa-inspired projects, including the Whipped Amber Bronzing Butter. The butter gets its fluffy and moisturizing texture from three butters, including coffee butter. It has Copper Sparkle Mica, which adds shimmer and a slight tint to skin. Amber and Ancient Sedona Fragrance Oil are added for a warm scent. From now until June 27th, receive 25% off a selection of products used in the tutorials. Use coupon code SAFARIMADE at checkout. To see the full collection of Handmade Safari sale items, click here. The Wild Leopard Print Cold Process Soap is inspired by African leopards. With a realistic leopard color palette and a scent blend of Mayan Gold, Black Tea Fragrance Oil and Cinnamon Leaf Essential Oil, this soap is dramatic and eye-catching. It is made by layering colored soap with a piping bag. Learn how to make it here. The leopard print soap is made with earthy-smelling tamanu oil. Tamanu oil comes from the nuts of the tamanu tree, which is indigenous to Southeast Asia. It is a non-greasy oil that has anti-fungal properties. It works well in a variety of projects, including balms and lotions. 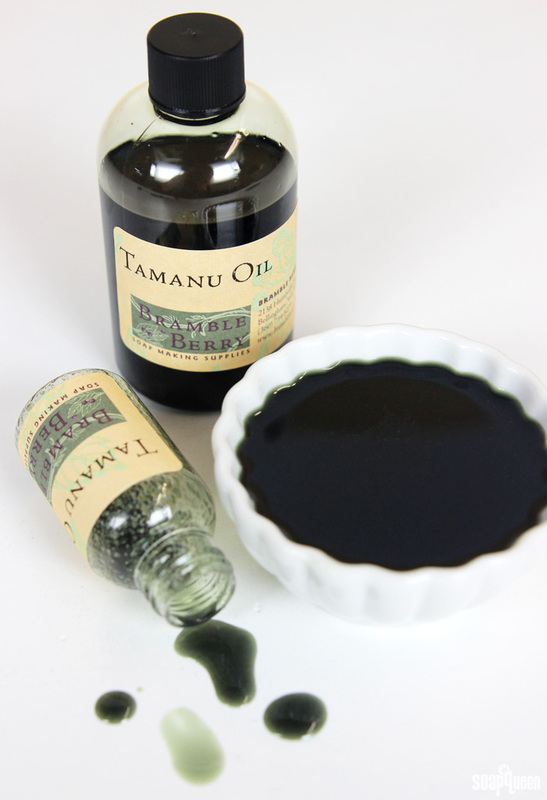 Read more in the Sunday Night Spotlight: Tamanu Oil. Tamanu oil can give soap a yellow tint, which is something to consider before formulating a recipe. Fragrance choice is another thing to consider before soaping. Some scents, including coconut fragrance oil or citrus essential oil, can fade in cold process soap. To help the scent stick, you can “anchor” it with a deeper fragrance like Sensuous Sandalwood Fragrance Oil. 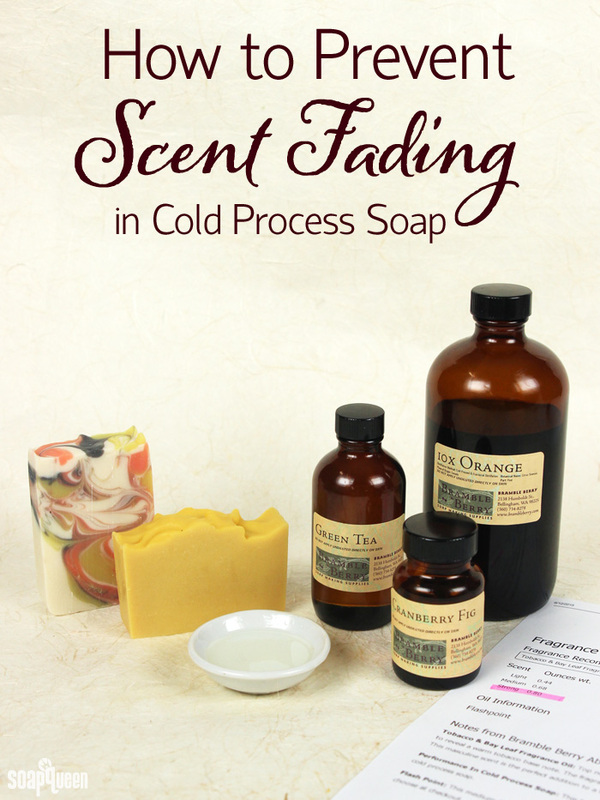 Get more tips in the How to Prevent Scent Fading in Soap post. Bramble Berry tests each fragrance and essential oil thoroughly for scent retention. We also get help from the S.O.A.P. Panel. Members of the S.O.A.P. Panel get eight mystery fragrances to test. They then share their opinions and help us choose new scents for our collection! The Summer 2015 S.O.A.P. Panel will be chosen June 22nd. Learn more about the panel in this post. While we are busy choosing the winners, the Handmade Beauty Box team is waiting to see if they will win this year’s Natural Child World 2015 Eco Excellence Awards. Handmade Beauty Box is a finalist for the new category, subscription boxes. Winners will be featured in the print and digital issue of Natural Child World, on newsstands August 1st. From now until July 10th, you can vote for Handmade Beauty Box! Click here to vote. 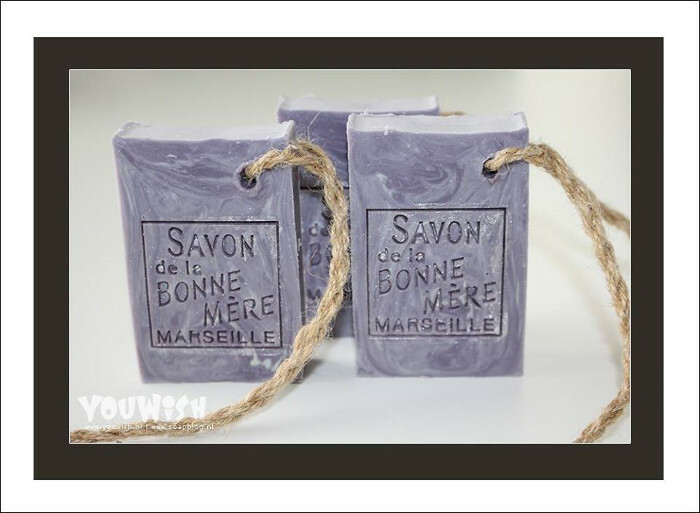 This week’s Facebook Photo of the Week winner, Esther with You Wish Soap Supplies in the Netherlands, is a gorgeous lavender cold process soap. It is stamped with the Savon Soap Stamp. I have used a bar of this soap personally and it is lovely in the shower. The purple swirl in Esther’s soap is delicately gorgeous. The stamp and rope add a rustic look that ties the soap together. If you’d like a lavender scent in your soap, click through this Buttermilk Bastille Baby Bar, which is scented with Lavender 40/42 Essential Oil. Finish with the Fresh Face Lavender and Aloe Lotion for a lavender scent that lasts all day. Above (clockwise, left) are Esther’s flower soap, Love and Kisses Soap, gold and black soap and swirl soap. For more embedded hearts, check out this Queen of Hearts Cold Process Soap. Hearts also look great in the MP Loves CP Tutorial. This week’s Instagram Photo of the Week by Sarah with Be New Soap SF also features a gorgeous swirl. 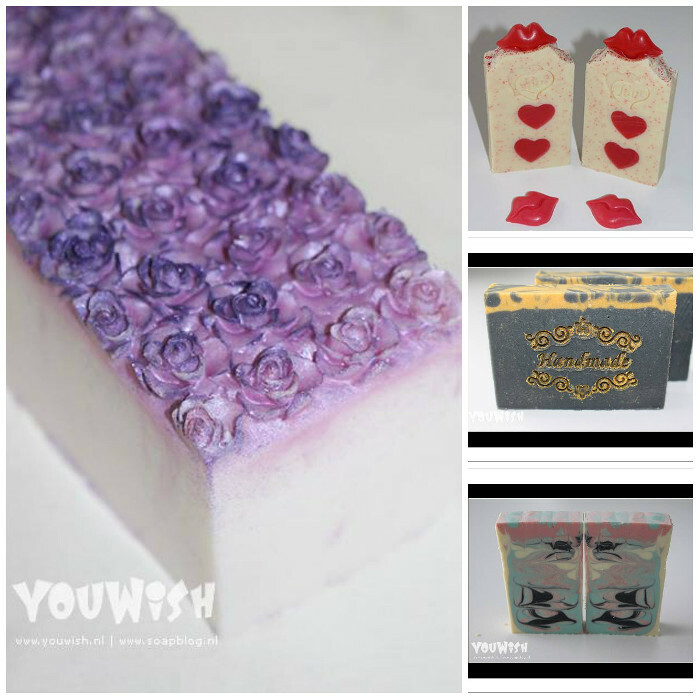 Her Passion Fruit soap features a yellow and white swirl, along with poppy seeds for texture and color. It also has plenty of texture on top. See more of Sarah’s stunning soaps on her Instagram page. 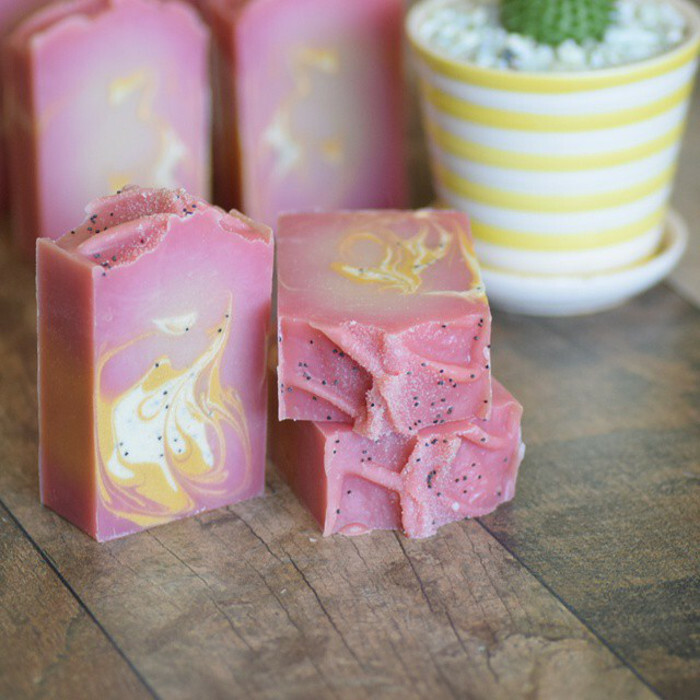 Love that passion fruit soap with poppy seeds, I can’t wait till I make my first batch of cold process soap. Isn’t that soap so gorgeous? Sarah is so talented!